Branding and building a long-term brand identity are not mutually exclusive from marketing goals. But they are birds of the same feather. For example, McDonald’s spends millions of dollars on marketing campaigns for the reintroduction of the McRib sandwich every year. But we universally recognize those golden arches as the company’s logo. Branding and brand identity can be accomplished using many different methods, such as a logo or trademark… a jingle or song… a shape… or even a celebrity or non-celebrity spokesperson. We are all bombarded with branding and identity efforts everyday of our lives from television, social media ads, radio—even on our smartphones. Phrases such as BMW’s “The Ultimate Driving Machine” or the Nationwide-is-on-your-side jingle stay with us. We all knew that when E.F. Hutton talks, people listen. And almost everyone recognizes Flo from Progressive Insurance. Even more clever branding efforts are conducted via social media. Wendy’s Twitter account could be considered a next-generation branding method, with hip hop rhymes and viral “disses” against their competitors. Today, no fast food company dares to challenge Wendy’s in a Twitter rap battle! Whatever the method, the goal of branding remains the same: To make the brander part of the conscious and unconscious mind of the everyday consumer. These branding efforts are to distinguish a company over its competitors and provide the “Why You” answer to the consumer. Why Nationwide? Because Nationwide is on my side. And the healthcare industry is not immune to branding. In fact, now more than ever companies and individuals in the healthcare industry should be thinking about answering the “Why You” question for their potential consumers. We are now firmly in the dot-com, #hashtag, internet and social media era. This means that the rules and strategies of branding and developing a brand identity have changed dramatically for all industries, including healthcare. However, healthcare professionals and the medical industry in general have been slower to accept branding and brand identity as a form of business generation. This may be because, historically, healthcare professionals had a monopoly on their own little corners of industry. A person went to their local doctor, who might recommend a specialist if one were available. 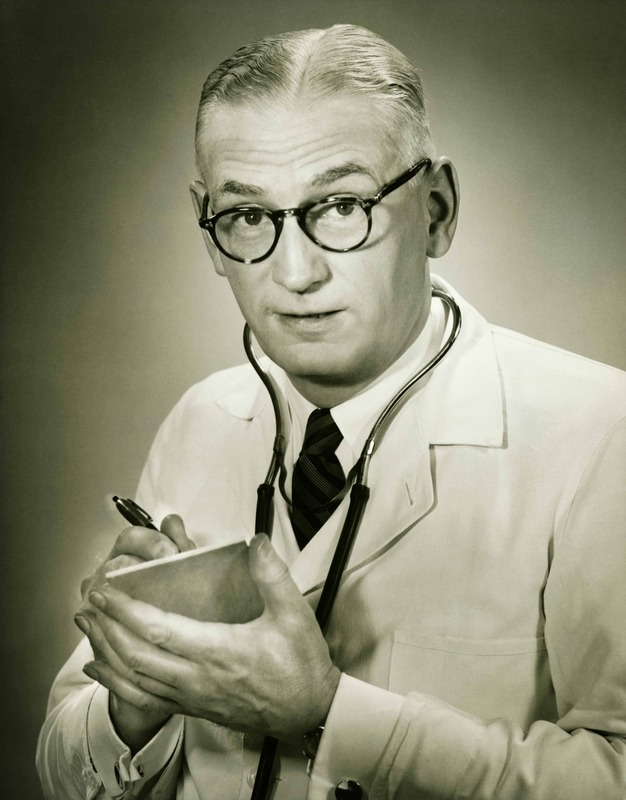 In the past, healthcare professionals did not generally have to market their services. Most of their patients came by word of mouth and were passed on from generation to generation. The same pediatrician would care for a mother’s children and her children’s children. Business generation depended upon the location of the practice, or, for denser areas, how much a patient “liked” a doctor. Further, people rarely questioned their doctor’s opinion or advice. They did not question why they were prescribed certain medications. In essence, physicians controlled every step of a patient’s treatment. And while pharmaceutical companies have made the leap into brand identity by marketing their drugs with catchy names that people ask for them by name… much of the healthcare industry remains reluctant to engage in a long-term branding strategy. Nowadays, people are more proactive about their healthcare and the options available to them. They visit their healthcare professionals armed with a plethora of information. Patients are conducting research on hospitals and physicians for customer reviews, costs, specialties and service well in advance of treatment. They are also well informed about available pharmaceuticals as well as generic options. Today, all it takes is one viral video or review to make a break a healthcare business. And all too often the industry is reactive instead of proactive. The goal of branding and developing a brand identity is for a potential customer to know you exist before they ever need your service. Depending on the market you serve, patients may have very different needs and expectations. For example, the technology gap between Baby Boomers and Millennials is so wide that trying to market to both groups is a challenging task. Baby Boomers may be more concerned about receiving the best care using the latest technology, whereas Millennials may be interested in speed and flexibility. Still other markets may gravitate toward lower costs. It would make little sense to market pediatric services to a retirement community… Which makes branding and building a brand identity even more critical. There is no magic bullet to developing a long-term sustainable brand identity as a healthcare provider. And branding efforts do not happen overnight. But, by first answering the question of “Why You,” healthcare industry providers will be one step closer to scooping up market share in their communities. building long-term brand identities is what we do!